This menu board design template is a fantastic brainchild because it has a table laid down for the guests. The food and the beverages have been served on the table along with the names of the dishes and the prices which are equally marvelous to look at. 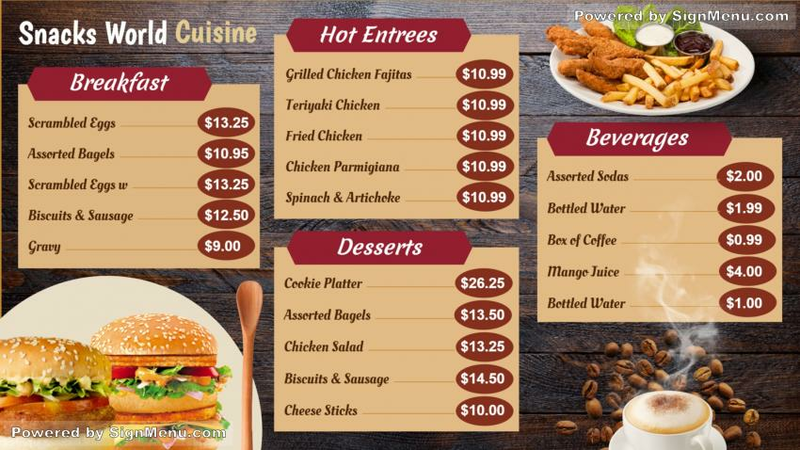 This menu board has a warm and inviting feel to it which will definitely attract the customers. Moreover, this template is totally free to download.